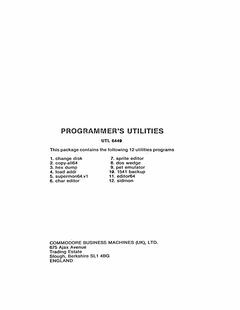 Added ‘Programmer’s Utilities’ software manual with thanks to Ove Mejlgaard. This entry was posted in C64 Software, Development, Software Manuals by Martin Sørensen. Bookmark the permalink.